Memories are some of the most precious things we possess, and photographs are frequently the physical manifestation of that value. They can be family heirlooms, souvenirs from vacations, pieces of artwork, or the last things we have to help us remember lost loved ones. 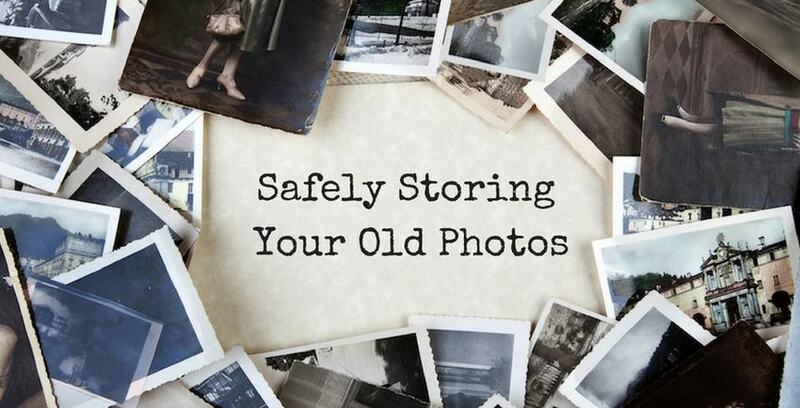 Suffice it to say, making sure that stored photographs stay safe is a very high priority for many people. We’ve done our research and put together our top photograph storage tips for you. Follow these easy steps and you can make sure that your memorable pictures can be enjoyed for years to come. The easiest way to keep any physical item safe, whether it’s a photograph or a document, is to make a digital copy. If you don’t own a scanner, you can find one at the nearest public library. Scan digital copies of your precious photographs, that way even if the original is damaged, you’ll still have the image itself. To take it even further, we recommend saving your now-digital photo copies both on a physical digital storage device like a USB drive or on the cloud so no matter what, you know everything is protected. Items like glue and tape can leave behind residue and, if placed on the back of especially fragile photos, lead to accidental ripping or tearing. Staples or other metal objects can rust and leave orange stains on photos over time, which is why you want to avoid them as well. Acid-free paper is made to last at least a century, thanks to high pH levels that keep it from degrading quickly over time. Acid-free photo albums are considered “archival safe” and won’t degrade or damage the photos you store in them. Most photo albums are acid free, but if you go shopping at thrift or discount stores for albums, we recommend taking a close look at whether or not they have the label before making a purchase. These types of plastic sleeves can be purchased at photography and camera stores, or in some cases, traditional craft or art stores. If you don’t have access stores like these or if your budget is limited, you can use plastic sandwich bags as a working alternative to the sleeves. It’s obvious that an especially humid storage space will easily damage any paper products stored within, so make sure that your photographs are kept somewhere safe like one of the climate-controlled storage units offered by Storage Direct. Follow these steps to be able to pack away your special photographs as safely as possible. When you pull your pictures out and take a look at them years from now, they’ll be just as high-quality as they are now. If you’re so inclined, you can even choose to pack them away in one of the many self-storage units available from Storage Direct!